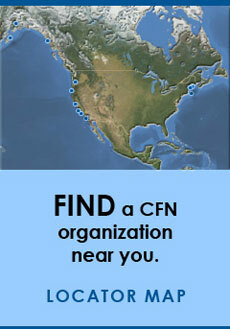 There are currently 15 community-based organizations that have become CFN members. We welcome the participation of similar groups that would like to join us and take advantage of the many resources available only to CFN members. CFN members receive high-level advice from local volunteer experts about legal, financial, personnel, and board/investor management; relevant information on governance and legal structures, and customized technical assistance from Ecotrust and Island Institute staff. CFN members can obtain the resources they need to develop 2-3 practical metrics tailored to their community and its fisheries; help in assessing their needs for specific tools for data collection such as on-deck digital harvest monitoring; and assistance in developing a Community Sustainability Plan. To see an outline of the Sustainability Standards, click here. CFN members have access to one-on-one business planning and a peer network using local resources and national experts acting as senior advisors, along with peer-to-peer learning and online information-sharing. CFN participants can share best practices on bycatch, monitoring, evaluation, and other innovations through a peer-to-peer, in-person and remote communications network. They also partner with other Network organizations, and receive technical assistance in video, social-media and other "storytelling" platforms and proficiencies to build local support for their efforts and products and reach new audiences across the country. In November 2011, the second annual gathering of CFN members brought together representatives from 14 participating organizations. Click here to learn more about our second annual meeting. CFN members have exclusive access to archived documents that provide in-depth information in several areas of interest.